Whether you own a startup, a small, medium or an established company, creating a digital marketing is crucial for your organization. With the right digital marketing plan in place, your customer base, sales and revenue can reach greater heights. Therefore, digital marketing is crucial for giving you the edge you need to thrive in an ultra competitive business environment. However, designing a digital marketing plan is no easy feat; it can a lot of planning, hard work and perseverance. Along with creating a digital marketing plan, you need to monitor it as well. All successful brands keep a close eye on their digital marketing activities. This helps take advantage of new opportunities and tackle unexpected crises. However, designing and monitoring a digital marketing strategy is not a DIY job. As the first step, you must consult a digital marketing consultant to understand how to go about designing an effective strategy. Offer practical advice and suggestions on creating or revamping your digital marketing strategies, branding, customer management; use of social media tools; etc. Create a plan of action specifically for your marketing needs. Wondering when to employ the services of a digital marketing consultant? 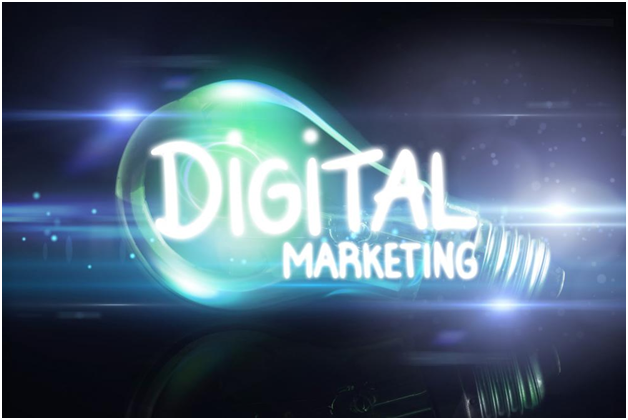 Hiring a digital marketing consultant can be of the most significant important decisions you will ever make. Therefore, you need to ensure the timing is spot on. As your business expands, so will your marketing needs. If you’re serving international clientele, your marketing plan must go global too. Your new digital marketing plan should cater to the demographic needs (age, gender, location, interests, etc.) of your new target audience. Similarly, when you’re launching new products, revising your digital marketing plan makes sense to ensure your target customers stay updated. Your website is your brand’s virtual identity. It conveys a message to people, including your current and potential customers, investors, suppliers, and more. For example, an incomplete website makes a business appear shady. Therefore, people might hesitate to engage with the company. As a result, this will decline the company’s leads and conversion rates. If your website was created years ago, it is time to update its appearance, layout, structure and design. Along with the aesthetics, revise the website content to get your message out to your target audience. Your website should offer complete and accurate information about your business, products and services. In the business world, numbers matter. If you’re unable to generate new leads and successful conversions, you need a new digital marketing plan. Digital marketing results can also be measured and monitored in real-time. With the right systems in place, you can monitor and manage every lead on your website. Tracking leads allows businesses to understand where they’re lagging behind and what they can do to ensure successful conversions. At the same time, you can identify the best digital marketing platforms for your business. If your see yourself in any of the scenarios above, it’s time to develop a new and better digital marketing plan. Having the trust of your customers is imperative for growth. After all, customers are the backbone of businesses. If you have been receiving a ton of negative reviews or feedback from customers, it will a bad impression on new customers and deter them from making a purchase. Also, as mentioned earlier, news spread very quickly on social media. Once a customer loses their trust and confidence in you, it’s hard to go back to how things were used to be. Dealing with negative reviews can be tricky and overwhelming. A digital marketing consultant can suggest the best plan of action to regain your target customers’ trust. Are your sales suddenly plunging out of nowhere? One of the reasons for this could be an ineffective digital marketing strategy. A digital marketing consultant can help get your sales back on track. No matter the industry you belong to, your business has a unique identity and public image. Having a solid image can boost a brand’s presence, credibility and authority. Whether you’re trying to establish or regain your brand authority, you can count on a digital marketing consultant for all needs. Having a strong brand authority can get you more customers, increase sales, and give you a lead over your competitors. As the use of the Internet and smartphones rise across the world, digital marketing is a top concern for businesses. If you’re looking for a digital marketing consultant, make sure they can deliver an action plan according to your requirements and issues. Digital marketing consultant, Makarand Utpat, has extensive experience and expertise in helping businesses rebuild their reputation, generate more leads, gain more traffic, enhance sales and bring in more money. He provides tailor-made solutions that suit each client’s specific needs. that the online reputation of organizations (all sizes, shapes and forms) stays intact. Makarand has appeared on several business television shows on NBC, ABC, CBS, and FOX affiliates. He also conducts speaking sessions on leadership, digital marketing and social media branding. He was selected as one of the America’s PremierExperts™ in 2015 and am also a Quilly Award winner.